Sozusagen um fünf vor zwölf noch ein dritter Beitrag bei der Jingle Belles Challenge, bei der man ohne Design-Papiere auskommen muss. Ich habe einen Lauf. Und bin weiter in der Kreisperiode. 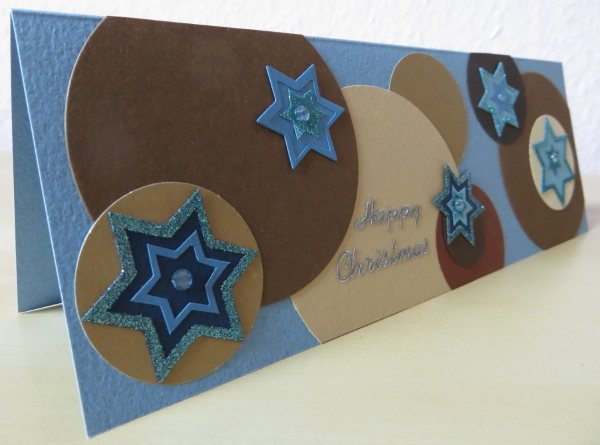 Here’s a third entry for the Jingle Belles challenge that is to only use cardstock… at the eleventh hour. I’m on a roll. And am still in the circle period. Und nun: habt einen schönen Tag! And now: have a nice day! Wow, you really are on a roll, and I love how this one turned out. Blues and browns always look great together. I’m hoping I can squeeze in some time for making another JB card, but I’m afraid today will be another day about work and no play. 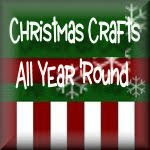 You are on a roll … love the circles and stars … so very glad you joined our 12 days of cardstock at Jingle Belles. holy wow, YES, you’re definitely on a roll, and here is another AWESOME card, looooooove those circles! 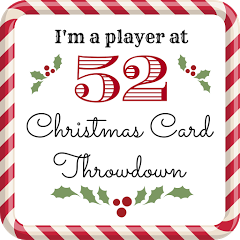 thanks for joining our „cardstock christmas“ fun (again!) at JINGLE BELLES!